celebrates World Ocean Day on Saturday and Sunday with live musical performances, craft activities for children, readings by Joel Harper and Brad Herzog, face painting, and information on what you can do to help save the oceans. With its hard work on saving the seas, it&apos;s unsurprising that the Monterey Bay Aquarium has been connected with movies with emphasis on preserving our oceans. It got its first star turn in Star Trek IV, in which it played the "Cetacean Institute" in Sausalito. According to people who worked at the Aquarium at the time, visitors were often upset to learn there weren&apos;t actually any humpback whales there! The movie Happy Feet also had a Monterey Bay Aquarium connection; the DVD release included the Monterey Bay Aquarium&apos;s Seafood Watch pamphlet as well as a documentary on overfishing. The Aquarium&apos;s big reputation has led to a more recent fictional connection. The writers behind DreamWorks&apos; new animated TV series, The Penguins of Madagascar, recently announced that one of the series&apos; major characters, Marlene the otter, "spent her formative years in Northern California&apos;s Monterey Bay Aquarium." 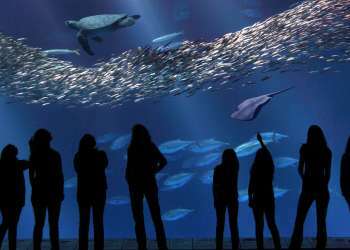 You don&apos;t have to rent a movie or watch TV to see the Monterey Bay Aquarium when you&apos;re far away. 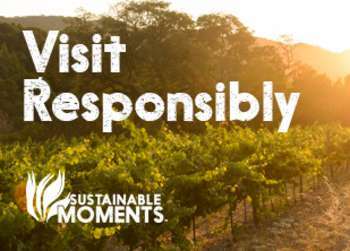 Their website includes live web cams of the Kelp Forest, the freshwater and ocean otters, the penguins, and more. If you can&apos;t be here for the World Ocean Day celebration, try to catch a glimpse of it online!